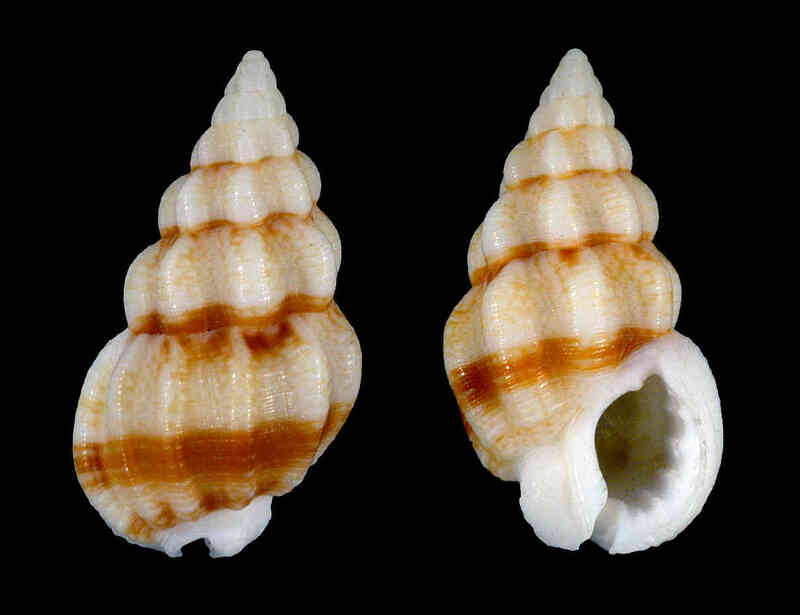 Shell size to 15 mm; shell small, thick-walled, with about five whorls. Sculpture of about 8-10 axial ribs round in cross-section, crossed by fine spiral threads. Aperture oval, outer lip thickened, forming varix, with several denticles on inner surface. Parietal shield glazed, white. Shell color cream, with varying banding patterns of brownish color. 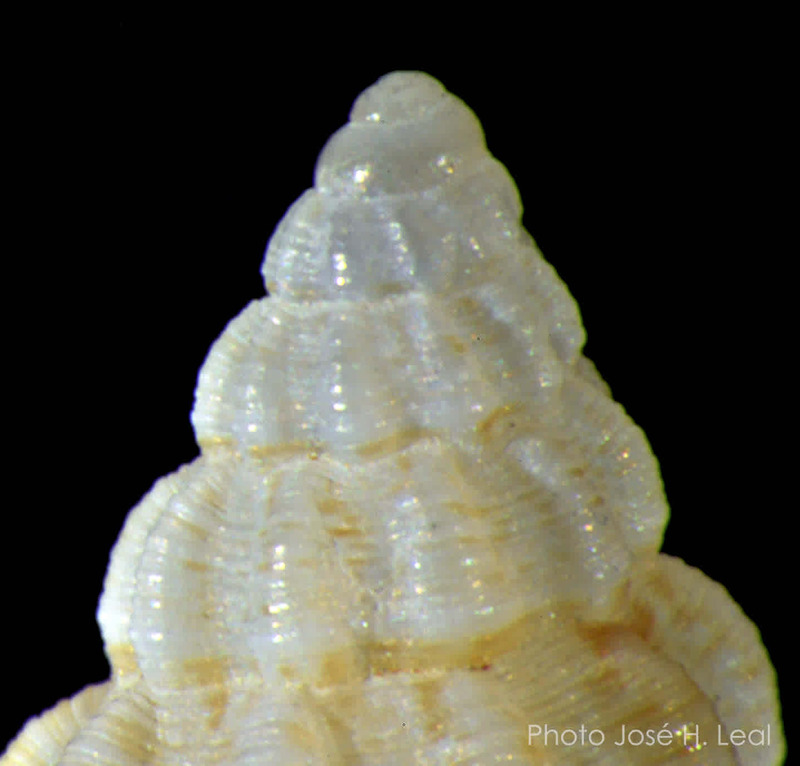 Protoconch (supplementary image) with about 3.25-3.5 whorls. Differs from Nassarius sp. (also in this guide) by its narrower shell and whorls with less angled shoulders.